Despite the overall sales slump affecting the Philippine automotive industry, Motor Image Pilipinas remains confident of its own performance as the year heads to the crucial fourth quarter. 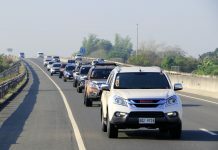 This has led the exclusive distributor of Subaru vehicles to continue with its aggressive Philippine market expansion plans. Mr. Glenn Tan, Deputy Chairman and Managing Director of Tan Chong International Limited, the parent company of Motor Image says that he sees potential in the Philippine market because of the buyer’s shifting preference away from Pickup-based Passenger Vehicles or PPVs. 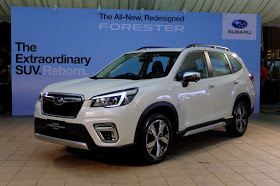 Citing PPVs lumbering size and comparative lack of maneuverability in dense urban traffic, he sees these buyers shifting to compact SUVs such as the Forester. True enough, despite the Association of Vehicle Importers and Distributors, of which Motor Image is a member, 11 percent dip in Light Commercial Vehicle (LCV) sales for the third quarter, Subaru has more or less remained steady for the same period. So far, they’ve continued to move 723 Foresters and Subaru XVs for the third quarter—just a 2 percent drop compared to 2017. Moving forward, Mr. Tan continues to see strong sales for both the Subaru XV and current Forester. The latter is fast selling out thanks to heavy promotions in preparation for the all-new model which is slated to arrive by late January 2019. As for the Subaru XV, Mr. Tan says that he’s pleasantly surprised that Subaru’s EyeSight driver assist technology is being accepted quickly by Filipino buyers. Currently available on the Subaru XV, Legacy, Levorg, and Outback, it’s understood that even the performance-oriented Subaru WRXwill receive Subaru’s core driver assistive technology as soon as next month. And even models that don’t offer EyeSight globally such as the WRX STI will see added safety technology as well. Motor Image’s bullish attitude for the Philippine market has led them to announce an expansion of its dealer footprint too. Currently at 17 dealers, Subaru will expand to 13 more locations in the next few years bringing the total to 30. 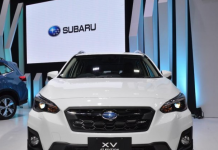 They’re also starting to address the lack of service space by offering the “Subaru Express” service which guarantees that a Preventive Maintenance Service or PMS will be completed within one hour. 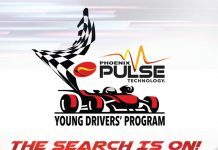 This service has been rolled out already in Subaru Manila Bay with other dealerships to follow soon thereafter.